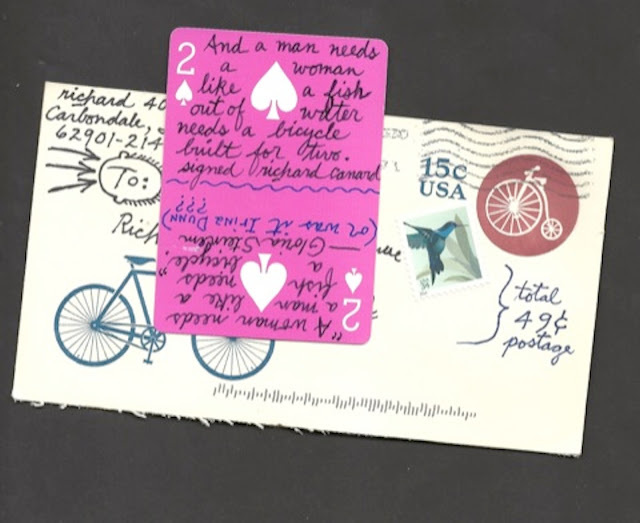 I've made this image extra large so you can read what Richard has written on the playing card. He's given the folks mounting the exhibit a challenge. How will they display this? Hmmm, we shall see. Thank you, Richard, for always amusing us! We love your submissions.